U.S. long-term mortgage rates moved little this week after the key 30-year loan rate marked its steepest weekly drop in a decade the week before. Mortgage buyer Freddie Mac said Thursday the average rate on the 30-year, fixed-rate mortgage ticked up to 4.08% from 4.06% — which had plunged from 4.28% last week. The average rate on the benchmark loan stood at 4.40% a year ago. The average rate this week for 15-year, fixed-rate home loans slipped to 3.56% from 3.57% last week. The decline made purchasing a home a lot cheaper, and potential buyers have been rushing to take advantage of the cheaper borrowing costs. Lower mortgage rates, slowing home price increases and a pickup in the number of available homes appear to be rejuvenating home sales after a slowdown last year. An index measuring applications for mortgage loans soared 18.6% in the week ended March 29 from a week earlier, according to the Mortgage Bankers Association. With economic growth showing signs of slowing in the U.S. and abroad, interest rates have eased. Reflecting dampened expectations for growth, the Federal Reserve recently left its key interest rate unchanged and signaled that it’s unlikely to raise rates this year. Fed Chairman Jerome Powell has said the U.S. economy faces several headwinds, including slowing global growth, a trade war with China and fading impacts from the tax cuts that took effect last year. Mortgage costs are more directly influenced by the yield on the 10-year Treasury note, which rose last year as many investors shifted money into stocks. Bond yields rise as prices fall. The yield on the 10-year note has fallen sharply since last year, when it touched 3.21% in November. It was at 2.51% around midday Thursday, up from 2.39% a week earlier. Freddie Mac surveys lenders across the country between Monday and Wednesday each week to compile its mortgage rate figures. The average fee on 30-year fixed-rate mortgages was unchanged this week at 0.5 point. The average fee for the 15-year mortgage also was steady, at 0.4 point. The average rate for five-year adjustable-rate mortgages fell to 3.66% from 3.75% last week. The fee increased to 0.4 point from 0.3 point. Steve also believes that being a true custom home builder doesn’t have to mean he only builds expensive homes. Legacy Classic Homes can build custom homes starting from the low $300’s up to $1,000,000, and every client receives the same service regardless of price point. Portfolio floor plans are available across a wide range of designs, styles and sizes, and custom plan design is available through our referred floor plan design firms. From breath-taking retreats overlooking a private course to fully refurbished historic treasures from around America’s refined Gilded Age, there is no shortage of opportunity to buy the lifestyle of the rich and famous in Tarrant County. Although the overall housing market in Dallas-Fort Worth is showing signs of cooling, blamed largely on rising unaffordability for average buyers, the luxury home market continues to flourish in Dallas-Fort Worth and in Texas’ other major cities. While not everyone can afford a $5 million home, or even a $1 million home, there are plenty of wealthy shoppers who can and are investing in the Texas real estate. Luxury home sales in Texas increased 11.5 percent, to 5,123 sales, between October 2017 and the end of November 2018, according to the latest data from Texas Realtors, a real estate trade group. Total sales of homes sold during that period was $8.3 billion, an 11.3 percent increase from the previous year, according to the Realtors group’s 2018 report. Luxury home sales accounted for 8.5 percent of all home sales. The Dallas-Fort Worth area led the other major metro areas of Houston, Austin and San Antonio with the sale of 1,825 luxury homes, an increase of 10.3 percent during that same 2017-18 period, according to the Realtors report. Luxury home sales of $3 billion accounted for 9.4 percent of all homes sold in Dallas-Fort Worth in that period. The Houston area saw a 7 percent increase in luxury home sales, with 1,669 sales worth $2.7 billion and accounting for 10.4 percent of the residential market. As the traditional spring buying season gets underway, local Realtors are expecting another strong year for luxury home sales. “Of course, there are not as many buyers who can afford million-dollar homes as there are at lower price points, but properties are selling,” said Moiri Brown, branch manager for Coldwell Banker Residential Brokerage in Fort Worth and president of the Board of Directors of the Greater Fort Worth Association of Realtors. The luxury home market has undergone change in the last years, resulting in more homes priced at a $1 million and above across the state, according to Texas Realtors. This is the result of rising land costs and escalating sales prices over the past few years driven by rampant population growth. The Realtors group’s 2019 Texas Relocation Report shows that the state attracts more than 500,000 newcomers every year and the Dallas-Fort Worth area gains more than 230,000 of them as the top Texas relocation destination. And with the highest number of re-locators moving in from California, many of them are bringing enough home equity to afford million-dollar homes in the local market, according to local Realtors. “You can get a lot more home for $1 million in Fort Worth than you can in California or other parts of the country,” Wegman said. Demand, coupled with price growth in the DFW market, has eroded the “sticker shock” of $1 million home, Realtors say. Luxury homes in the DFW area sell for an average of $320 per square foot compared to $346 in the Houston area, $431 in the Austin area and $277 in the San Antonio area, according to the Texas Realtors 2018 report. The median square footage of luxury home is highest in the DFW at 5,150 square feet compared to 4,610 square feet in Houston, 4,149 square feet in Austin and 5,081 square feet in Austin. In Tarrant County, the luxury home market is concentrated in Fort Worth and Northeast Tarrant County, particularly Southlake, Westlake and Colleyville. Fort Worth has 52 luxury home listings and has had 18 sales in the past six months, according to data provided by Coldwell Banker Real Estate. The average sales price was $1.3 million. Southlake, Westlake and Colleyville combined have 96 homes on the market, with 50 of those homes located Southlake, according to Coldwell Banker. The three cities had combined sales of 46 homes in the past six months, including 22 in Southlake. The average sales price in Southlake was $1.45 million, $1.9 million in Westlake and $1.5 million in Colleyville, according to the Coldwell Banker data. Despite the uptick in sales of luxury homes, selling these properties continues to be challenging. “Most of the time, if someone is willing to spend $5 million on a home, they want to build it and get exactly what they want,” said Clay Brants, a Realtor with Briggs Freeman Sotheby’s International Realty in Fort Worth. Furthermore, selling luxury homes in Fort Worth is complicated by competition from the abundance of luxury homes in Northeast Tarrant County, Brants said. “There is a perception that people are not satisfied with the Fort Worth schools,” Brants said. “Fort Worth hasn’t built a new school in 30 years and you’ve got all those new schools in places that were horse pastures not very long ago. New federal tax laws, which limit how much mortgage interest and property taxes can be written off, exacerbate the challenge of selling luxury homes in Fort Worth, Brants said. Let’s take an expensive home tour! There are currently 14 homes for sale in Tarrant County priced at $5 million and above. Five of these properties are located in Fort Worth and the other nine are in Northeast Tarrant County, including six in Westlake. The list includes several spectacular historic properties as well as recently-built, sprawling estates that are lavishly decorated and boast ultimate amenities such as coffee bars and salon/spas. The most expensive home on the market is priced at $11 million and is located on 4.7 acres in Southlake. The home at 940 Dove Road was built in 2012, contains 16,477 square feet and features a tiered media room, dual lane bowling alley, indoor bull-court basketball gym, sauna and six-car garage. • The Baldridge House, 5100 Crestline Road, is an historic Arlington Heights home built around 1910 for a cattleman and rancher who became a prominent Fort Worth banker. Paun Peters, who earned a fortune as an oilman and now invests in commercial real estate, and his wife, Magdaline, bought the house out of foreclosure in 2007 and spent $4.5 million on an exhaustive renovation. The home comes with a Texas Historic Marker and features many amenities as well as exquisite architectural details. The six-bedroom home with 11,725 square feet has an asking price of $7.95 million. It was first put on the market two years ago. • The River Crest home of the late Martha and Elton M. Hyder Jr., well-known Fort Worth philanthropists. The four-bedroom home with 8,967 square feet was built in 1920 at 900 Alta Drive features historic elegance and exquisite design detail. A picturesque creek runs along the west side of the property, which is priced at $5.95 million. • A unique Texas home with an intriguing backstory, at 1 Paigebrooke in Westlake. The home, known as Paigebrook Farm, was designed by Dallas architect Charles Dilbeck and built as a ranch house in 1938 for Ted Dealey, a former publisher of The Dallas Morning News. Scott Bradley, former mayor of Westlake, and his wife, Kelly, bought it in 1977. The Bradleys eventually sold the property to Fidelity Investments for a regional headquarters but so loved the house, they had it moved, brick-by-brick to another location about a mile away. The 10-year relocation process resulted in an 11,500-square-foot home true the original vision of the architect. It is listed for $7.9 million. • A Monterrat estate at 9553 Bella Terra Drive looks is designed to resemble a castle and has the has the amenities fit for royalty, including 13 living areas, four dining areas, seven kitchen areas, an indoor pool and hot tub and a motorized shoe rack. The home built in 2006 has 24,093 square feet and features extraordinary craftsmanship. The asking price is $7 million. Fort Worth is considered the cultural capital of the Southwest with an eclectic mix of influences, many of which are reflected in the distinct character of each section of the city. In the Historic District, you’ll find a thriving performing arts scene along the red brick streets and late 19th century buildings, including the impressive Bass Performance Hall and the Water Gardens, an urban park in the postmodern style. Just north of downtown in the Stockyards National Historic District lies the Old West heritage of the city, with its twice-daily Texas longhorn cattle drive, Western saloons, and rodeo arenas. With the establishment of three renowned art museums designed by celebrated architects, Fort Worth has become one of the nation’s top art and architectural cities. It’s no surprise that this rich history and many architectural influences from Art Deco to Mediterranean to modern have inspired a diverse range of styles in Fort Worth homes. Many of the best high-end builders in the city have been recognized for masterfully integrating art and functionality into gorgeous custom homes and estates. In our list of the 15 best general contractors in Fort Worth, we selected the best builders that have demonstrated a high level of skill and expertise in their custom homes. Many of these contractors have received various awards and recognition for their work, and have developed a strong reputation for quality, integrity, and client satisfaction in the Fort Worth area. Brooks Custom Homes takes an approach to home building that is dedicated to capturing timeless architecture without sacrificing modern amenities. Their goal is to capture the charm of timeless architecture without compromising on modern amenities and upgrades. Owner of the firm Douglas Brooks takes pride in having built a reputation based on honesty and integrity — one that is well-reflected in the many referrals from their satisfied customers. They also provide customers with energy-efficient solutions that are carefully-integrated in their home design to maximize functionality without sacrificing a home’s architectural integrity. They mostly specialize in custom homes that are 4,000 square feet or more. Usually, they work on custom homes that range from $1 million up to $5 million. John Askew Company is a full-service custom home builder in the Fort Worth area that was established in 1983. The company has over 30 years of experience and is regarded as one of the premier custom home builders in Tarrant and Parker Counties and builds homes in the most exclusive and private neighborhoods in North Texas. John Askew Company was voted Best Builder in Fort Worth 3 out of the last 5 years, twice by Star Telegram readers and once by Fort Worth Magazine readers. John Askew also won 1st place in 9 of the 13 categories in the 2008 Kaleidoscope of Homes in Montserrat of Fort Worth, including Best of Show and People’s Choice. Their custom home building services also offer multi-generational features where the home’s design plan is specifically tailored to each family’s current and future needs. With the help of the company’s expert design team, multi-generational homes offer customers functional and classic home designs for flexibility and convenience. 13) Fred Park Company, Inc.
For over 50 years, Fred Parker Company has been one of the most reputable residential design and building firms for custom homes in the Greater Fort Worth area. Founded in 1951, the company has won many accolades both locally and nationally. The owner, Fred Parker, has also received many awards including the 2006 Builder of the Year award by the Greater Fort Worth Builder Association and has been named as the 2004 Remodeler of the Year. He is also a long-time member of the Greater Fort Worth Builder Association. Their timeless design and classic craftsmanship is not limited to a particular type but encompasses a wide range of styles, including Contemporary-Ranch, European Traditional, French Country, Georgian, Mediterranean, Spanish Revival, and more. Sean Knight Custom Homes has long been recognized as one of the trusted custom home builders serving Fort Worth and its surrounding areas. Sean Knight, owner, and president of the firm has more than 25 years of experience in the industry and has been a Certified Master Builder and Remodeler since 1996. Throughout the years, the company has been dedicated to earning the trust and respect of their clients. The company has received various awards such as the 2010 Spring Tour of New Homes Grand Award and awards for Kaleidoscope of Homes in 2000 and 2008. They are also a member of the Fort Worth Builders Association. Aside from building new custom homes, the company also offers home remodeling services in Possum Kingdom Lake, and Tarrant, Hood, Parker, and Johnson Counties. Specializing in upscale custom home construction in Fort Worth, Dallas, and its surrounding areas, David Lewis Builder has built luxury homes that exude timelessness in architecture. The company believes in the importance of constructing homes that are built to last through the generations and incorporates green building practices that promote energy efficiency in many of their projects. The company uses high-quality sustainable materials in order to produce elegant masterpieces with impeccable structural integrity. Owner David Lewis has over 35 years of experience in the construction industry, where he developed a deep passion for building homes. The company’s portfolio ranges from the period restoration of historic estates to new construction of sleek contemporary homes. David draws inspiration from Addison Mizner’s open Mediterranean layouts to Lake|Flato’s modern environmentally-integrated works. After two decades in the custom home building industry, Steve Sagerson established Legacy Classic Homes, a custom home building company based in Keller. In order to give each home the attention that it deserves, the company focuses on a low-volume of projects. They work on a wide array of home designs, styles, and sizes to help buyers visualize their dream and turn it into reality. Their low-volume approach makes it possible for the company to embrace flexibility and customization, which they take very seriously. They proudly serve customers throughout Fort Worth and Dallas. 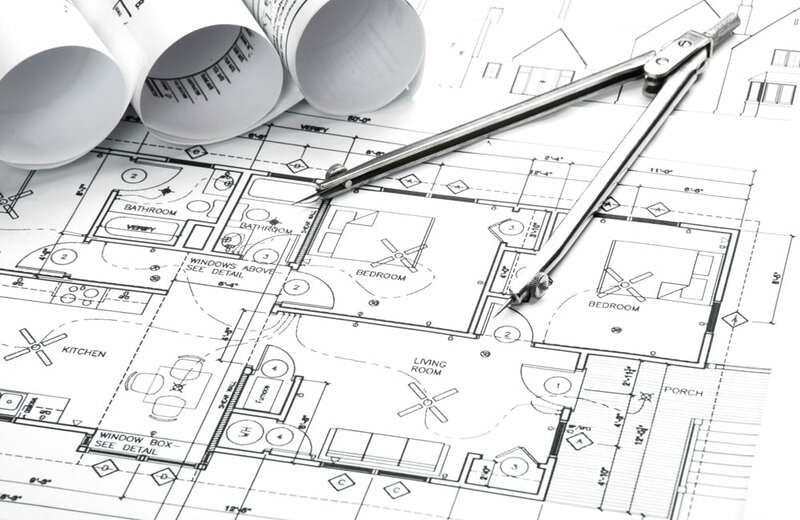 As a full-service home building company, they provide all aspects of the custom design-build process: from land acquisition, planning, designing, and construction. The company also works on low-cost custom homes and offers various financing options. 9) Woodall Construction Services, L.L.C. Woodall Construction Services has made it their mission to deliver top quality custom homes that are suited accordingly to their client’s preference, standard, and lifestyle. James Woodall, the owner of Woodall Construction Services, has many years of experience in the home improvement business. Since 1993, he has helped people achieve the home of their dreams. The company’s focus is not just providing clients with customized living spaces, but also providing them with alternative energy sources that are sustainable. They offer turnkey solar solutions for their clients and incorporate this alternative energy source seamlessly into their custom-built homes to ensure that the home’s design and functionality will come together as one. Located in Burleson, the company serves customers throughout Fort Worth, Johnson, Tarrant, and Dallas counties. In addition to their custom home construction services, they also perform home, kitchen, and bathroom remodeling, as well as solar panel installation and upgrades. As a Certified Master Builder and a member of the Certified Master Builder Corporation, J. Lambert Custom Homes has been recognized as one of the premier luxury custom home builders in Fort Worth and the surrounding communities. They began building homes ranging from $500k to $800K but were soon building homes worth more than $12 million. They specialize in a variety of styles such as French, Tuscan, Mediterranean, Colonial, Old world, and Castles. Jimmy Lambert’s 30 years of experience in the construction industry has helped him establish long-standing relationships with his clients. Their custom homes range from 2,500 square feet up to 40,000 square feet depending on the customer’s preference. Their experienced team works closely with each client to ensure they deliver their dream home. Over the past 20 years, Boyd Custom Homes has been dedicated to delivering superior quality custom homes in the greater Dallas-Fort Worth area. Their highly experienced team works closely with each of their clients to build a home that is personalized and distinctive. As a Certified Master Builder, they have a long-standing reputation for quality designs and energy-efficient custom homes. President of the company Steve Boyd makes sure to give each project his personal attention from its conceptualization to its completion. Though the company has their own subdivision sites, they also build custom homes on lots that are purchased by their clients. Their projects range from $350k to $4 million. They integrate the latest technology, finishes, and features into the home’s custom design to create a one-of-a-kind, high-performance luxury home for their client. Established in 2008, Braswell Homes is a custom home builder serving the Fort Worth community. In 2017, one of their projects, a 5, 300 square feet dream home named La Cantera, was featured in Fort Worth Magazine’s 2017 Fall Dream Home. Bryan Braswell, owner of the company, and his home which he built seven times has also been featured in Fort Worth Magazine. Long before becoming an established home builder, Bryan worked on remodeling jobs from the early age of 18. Eventually, he started his own business and pursued his ambition to create custom homes that his customers will love and enjoy. One aspect that sets the company apart is that they strictly limit the number of projects they take on to ensure that they deliver the highest-quality homes. Located in Granbury, Couto Homes serves Fort Worth and its surrounding areas as a custom home builder. The company is one of the Certified Master Builders in the state of Texas, earning the reputation as one of the most trusted custom home builders. Throughout the years, they have been featured in numerous publications such as the North American Builders, the spring 2015 issue of Modern Builder & Design, and Spectacular Kitchens of Texas. The company also received a Guildmaster Award in 2015 for exceptional customer service. Donny Couto, founder of Couto Homes, Inc., shares his father’s love of residential design and construction. Al Couto began building homes in the mid 1970’s. Donny began to follow in his footsteps in 2001, and for over 30 years, the core values of the company remain unchanged. Couto Homes continues to “raise the standard” and provide affordable quality homes for their clients. In addition to Fort Worth, they also build homes in Granbury, Aledo, Burleson, Cleburne, Glen Rose, Godley, Joshua, Mansfield, Stephenville, Weatherford, and Hudson Oaks. Established in 1997, Garbedian Properties has been among the premier luxury home building companies serving the Dallas-Fort Worth metroplex. In their many years in the business, the company has received several accolades and recognition including the Graduate Master Builder of the Year by the National Association of Home Builders, the Greater DFW Spring Tour of New Homes™ award-winning builder for multiple years, Builder of the Year Keystones Builder 20 Club winner, and more. They are also a member of numerous associations such as the Graduate Master Builder Corporation, Builder 20 Program, Greater Fort Worth Builders Association, Texas Association of Builders, National Association of Home Builders, and Custom Builder USA. Throughout the years, the company has completed numerous projects typically ranging from $750k to $10 million, for a collective value of over $100 million. Aside from designing and building custom homes, they also work on premium renovations, lifestyle enhancements, energy efficiency enhancements, storm and disaster recovery, and home care services. They also build custom homes and serve customers in the surrounding areas of the Northeast Tarrant County. In the 25 years, Simmons Estate Homes has been in business, owner Scott Simmons has built a reputation for being one of the leading trendsetters for luxury homes throughout the Dallas-Fort Worth area. For the company’s outstanding designs, they have received numerous awards such as the Luxury Home of the Year 2011 McSam Award: People’s Choice and Texas Association of Builders 2011 Awards. The company’s hands-on approach to conceptualization, planning, and construction is what sets them apart from other builders. They also take pride in their “Green Built” homes that are specifically constructed for energy efficiency and water conservation. With Scott’s extensive background in architecture, the company successfully incorporates elegance and functionality in each design and construction. Working closely with their customers has also helped them establish a strong reputation for transparency and commitment. Established in 2004, Ferrier Custom Homes has built a reputation for creating luxurious and energy-efficient custom homes. The company believes in sustainable building practices and incorporates these in every home and structure they build. Throughout the years, they have received numerous awards such as the National Association of Home Builders 2007 Green Builder Advocate of the Year, Energy Value Housing Awards 2005 to 2012, D Home Best Builders in Dallas in 2008, 2010, 2011, 2012, 2013, 2014, and 2016, among many others. Don Ferrier, president of Ferrier Custom Homes, has long been passionate about constructing sustainable homes since the early 1980’s. For his great efforts in energy-efficient and sustainable construction techniques, he has been awarded the National Association of Home Builder’s Green Builder Advocate of the year. Ferrier Custom Homes works closely with their clients to integrate the latest green features to create their dream homes. This Dallas-based custom home builder takes pride in constructing original architectural styles for modern residential homes throughout the Dallas-Fort Worth metroplex. Through unifying art, craft, and modern technology, Bauhaus’ team of experienced designers and construction specialists are able to create high-end, one-of-a-kind homes for their clients. With their commitment to architectural integrity and technological integration in each home design and construction, the company has been honored by D Home magazine from 2012 to 2017 for Best Builders and has received various awards including the 2013 Arc Awards for Architectural Design, the 2013 ARC Awards for Interior Design, the 2013 ARC Awards for Best Green Built Home, and the 2012 Arc Awards for Best Interior Design. The company also employs green building practices in their custom and sustainable homes. Using cutting-edge green building techniques and high-quality materials, their projects are not only luxurious but are also energy-efficient. During 2018, Fort Worth home sales decreased 0.6 percent to 12,743 homes. The median price for Fort Worth homes increased 6.2 percent year-over-year to $220,260 in 2018. “In the beginning of 2018, the Fort Worth housing market was continuing on the same trends we saw in 2017. However, towards the end of the year, we started seeing a shift in the market as sales slowed,” said Moiri Brown, 2019 President for the Greater Fort Worth Association of REALTORS®. Fort Worth’s monthly housing inventory was 2.0 months in 2018, 0.4 months more than 2017. The Real Estate Center at Texas A&M University cites that 6.5 months of inventory represents a market in which supply and demand for homes is balanced. Homes spent an average of 37 days on the market in 2018, three days more than 2017. Additionally, active listings increased 14.5 percent to 2,325 listings during the same time frame. 12,743 – Homes sold in 2018, 0.6 percent less than 2017. $220,260 – Median price in 2018, 6.2 percent more than 2017. 2.0 – Monthly housing inventory in 2018, 0.4 months more than 2017. 37 – Average number of days homes spent on the market in 2018, three days more than 2017. 2,325 – Active home listings on the market in 2018, 14.5 percent more than 2017. Fort Worth home sales decreased 12.3 percent to 971 homes in December 2018. The median price for Fort Worth homes increased 3.7 percent year-over-year to $225,000 in December 2018. Fort Worth’s monthly housing inventory was 2.0 months in December 2018, .4 months more than the year prior. The Real Estate Center at Texas A&M University cites that 6.5 months of inventory represents a market in which supply and demand for homes is balanced. Homes spent an average of 48 days on the market in December 2018, four days more than December 2017. Additionally, active listings increased 22.5 percent to 2,154 listings during the same time frame. 971 – Homes sold in December 2018, 12.3 percent less than December 2017. $225,000 – Median price in December 2018, 3.7 percent more than December 2017. 2.0 – Monthly housing inventory in December 2018, .4 months more than December 2017. 48 – Average number of days homes spent on the market in December 2018, four days more than December 2017. 32 – Average number of days to close in December 2018, one day less than December 2017. 2,154 – Active home listings on the market in December 2018, 22.5 percent more than December 2017. Toll Brothers gave weaker-than-expected guidance on Tuesday for the first quarter, pointing to reports about a souring housing market as the cause of the slowdown. “In November, we saw the market soften further, which we attribute to the cumulative impact of rising interest rates and the effect on buyer sentiment of well-publicized reports of a housing slowdown,” Toll Brothers Chairman and CEO Douglas Yearley said in a statement. Reports of a housing slowdown come as U.S. Census data show new home sales have declined for 11 straight months. In October, sales of newly built homes fell 12 percent from a year earlier, even though the median price for new homes dropped. Economists have said the decline in new home sales stems from weakened affordability across U.S. local markets. The housing market has begun showing signs of cracking this year, while real estate brokers are saying that offers for homes have thinned out. Toll Brothers shares closed down 1.6 percent on Tuesday. Toll Brothers beat top and bottom line estimates for its fourth-quarter earnings report. Two of the homebuilder’s key metrics, deliveries and backlog, were at the highest levels in more than a decade. However, first quarter guidance from Toll Brothers was weaker than expected, with a deliveries range that was markedly below Wall Street’s expectation, according to FactSet. Yearley said the company “saw similar consumer behavior beginning in late 2013, when a rapid rise in interest rates temporarily tempered buyer demand before the market regained momentum.” Known as the taper tantrum, rates jumped in 2013 when the Federal Reserve signaled a reduction of money being put into the economy, leading to a surge in mortgage rates. Home sales recovered, however, when mortgages rates fell back again. “In fact, they are probably going to increase even further,” added Yun. Kitchen design is always evolving. From cabinet colors and countertop materials to lighting and plumbing fixtures, so many smaller details make up a complete kitchen. Houzz’s Gwendolyn Purdom gathered the opinions of professionals and homeowners to see what is currently trending in kitchen design. Check out the following below. “Painted cabinets are having a bit of a moment,” says designer and decorator Nancy Harper of Washington, D.C.-based Studio Miel. Harper and other pros agreed that blues and greens are the go-to non-neutral colors of choice now, but Harper says she could see other bold hues — emeralds, darker shades — also take hold soon. Homeowners looking to make a more dramatic, organic statement with their kitchen countertops used to gravitate toward natural stones such as granite for the unique speckling and veins. But pros say more natural-looking quartz — an engineered product that contains mostly quartz mineral, as well as resins, pigments and polymers — is showing up in more kitchens. Open shelving can make a kitchen look taller and airier. As this look gets more popular, Luke Owen of Texas-based Owen Homes says his team has seen a corresponding spike in requests for hideaway places for smaller appliances, outlets and other clutter. What does life imply? It’s a question that has bothered scientists since the beginning of time. Is it the existence of a certain intelligence or autonomy, a consciousness, or something more? Does it require the inclusion of an entity higher than is currently measurable by scientific systems, a soul? How else can we explain how a human being is alive and a sentient chess bot isn’t? How else do you justify humanity’s inborn right to lord over the machines? Born in 1842, William James was a pioneering American philosopher and psychologist, one of the most innovative thinkers that the country has ever produced. Alongside some serious work in the realm of physiological psychology, exploring the connections between the body and the mind, he was also one of the leading champions in panpsychism, a theory that proposed a united consciousness, or psyche, that encompasses all elements, living and non-living. The idea was pretty far-fetched for the time, which is probably what led more recent philosophers and scientists to not allow it into mainstream philosophy. However, as more and more researchers face the hard question of consciousness, panpsychism seems to be hitting the roads once again. As science and technology move headfast into the 21st century, we are well entering a point where the lines of consciousness are severely blurred. What distinguishes a living being from a non-living one? Is the right to life and liberty exclusive to living beings only? These are questions we may yet face as artificial intelligence ushers us into a vast new age of automation. What if your home was alive? What seemed like the premise of a sci-fi horror show in the 80s is now a trending reality. But how do you join in on this trend with the least hassle? Let’s find out. Not everything about building your next smart home is going to be interesting, and you will have to get used to the grunt work as you skip from page to page trying to find yourself the best kind of infrastructure to support your new home. The root infrastructure required for the proper functioning of any smart home, just like the network of roads and freeways that connect your entire city, is the home network. The home network is the one giant mesh-like system that connects all the various smart appliances within your home, from intelligent toasters to smart refrigerators, and depending upon your requirements, you may even consider having more than one home network powering your smart home. There are a variety of home network technologies to choose from, wired and wireless and wired-and-wireless, each with its own set of benefits and shortcomings. Wi-Fi and Bluetooth are probably the most commonly heard of technologies in smart home networking, though not always the most efficient. Wi-Fi networks have long been avoided by manufacturers of smart home appliances due to just how resource-intensive they are, while Bluetooth connections can only be used to transmit data across smaller areas. Other alternatives include the wireless ZigBee and Z-Wave, both of which are mesh networks that use radio waves to foster communication between the many appliances within a house. There’s also Insteon, a smart home technology that uses both radio waves and wired networks to ensure constant connectivity in a dual-mesh network where every smart appliance acts as a peer. Next to your smart home network, you’ll need a smart home hub that acts as a central communication system between the different devices in your network and allows you to issue commands and get results. The smart hub serves as the brain of your home automation system, allowing you to connect the various devices within your network to a single control center. Of the many smart hubs available in the market, Samsung SmartThingsand Wink are the most popular ones, recommended for both popularity and the quality of service they provide. While smart hubs like Samsung SmartThings and Insteon Hub Pro each come with their own smartphone applications to help transmit commands across your entire smart home, you may want to spice things up a little by adding some artificial intelligence into the mix. The best way to do this is to use products like Google Home and Amazon Echo, both of which are voice-activated speakers that come power-packed with their own virtual assistants, allowing you to take advantage of their machine learning techniques in controlling your smart home. Now that you have set up your framework, it is time to go shopping for your favorite smart home appliances to breathe life into your house. From must-haves like thermostat regulators and smart televisions to the more unusual options like intelligent egg trays and Wi-Fi enabled juicers, there is a whole arsenal of scary and beautiful appliances that you can connect to your smart home. While you can take a look at this article for a walkthrough on the best appliances for your home, a security system, a thermostat and a lighting network seem pretty basic for any home. The Nest Learning Thermostat, combined with the Philips Hue Lighting System and a Vivint Smart Home Security Solution will do the job just fine. Next, consider connecting vital work and entertainment devices such as your desktop, laptop, speakers and television set on to your network before looking elsewhere. And of course, don’t forget to download the smartphone app for your preferred smart hub or home kit to go along. Building yourself a sentient house is no easy task. It requires hours of studying and a whole lot of technical jargon. But if you are patient enough, the effort feels totally worth it as you watch your lifeless home usher into being as a fully-automated, sentient being. Bathrooms and kitchens sell homes, says West Palm Beach, Fla.-based interior designer Gil Walsh, and the design choices made in them can make or break a home sale. From a sales standpoint, they’re arguably the two most important rooms of the home. Kitchen requirements tend to be clear-cut — homeowners need a stove, counter, sink, and cabinets — and its location at the heart of the home opens up a range of design possibilities. 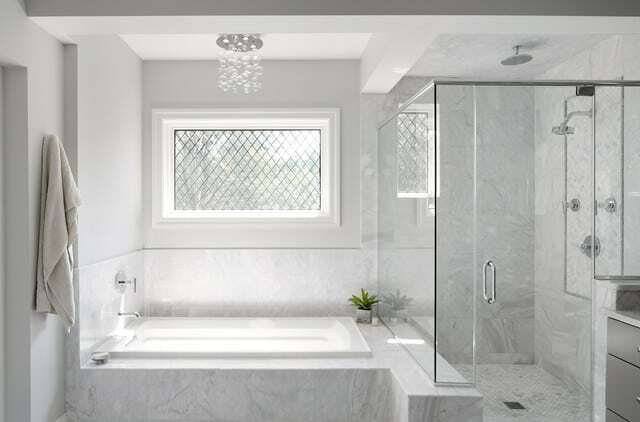 When it comes to bathroom design, however, homeowners, builders, and designers are often faced with a tough choice — shower or tub? Both master and secondary baths come with spatial limitations, and it sometimes comes down to one or the other. Tony Crasi of The Crasi Company, based in Cuyahoga Falls, Ohio, built his home with a state-of-the-art whirlpool tub in the master bath. “I used it maybe five times in 12 years,” he confesses. Crasi cautions his customers that they may not end up using their luxury bathtubs either, but that isn’t slowing their requests for whirlpools, garden tubs, and more. Homeowners are busier than ever and for some clients, stress levels are through the roof, he explains. At the end of the day, they want “somewhere to soak, somewhere to relax, somewhere to go hang out and hide.” Whether people actually have the time to use their tub doesn’t seem to be affecting the trend, according to Crasi, and might be entirely irrelevant, says Marc Thee of Winter Park, Fla.-based Marc-Michaels Interior Design. The Roman bathtub lined by columns and candles is long gone — and good riddance, says Thee. It’s been replaced by freestanding vessel tubs in elegant spoon or sugar bowl molds that not only conform to the bather, but contribute a refined, even architectural, look. The consensus among Ashton Woods’ design studio managers is that tubs are overwhelmingly being replaced by large showers in the master, she explains. “I myself had a bit of a visceral reaction to that — No, don’t take the tub!” But even the avidly pro-bathtub designers admit that for some spaces, showers just make more sense. The speed and convenience of showers is tough to beat, Amy Miller from Greenwood Village, Colo.-based Lita Dirks & Co. adds. “These days, people just don’t have time to wait for the tub to fill up and then spend the time to sit and soak for 20 minutes.” The tub is phasing out just like the formal living room did, she says, when homeowners realized they could make better use of the space. “The shower is winning,” Janet Hobbs of Bee Cave, Texas-based Hobbs’ Ink Custom Home Design declares. “I think it would be safe to say that maybe 80 percent of my clients want the shower and they’re just putting the tub in because they think they have to.” And sometimes they do have to, as a few designers on Team Shower admit. Having a tub somewhere in the home, often in the secondary bathroom, is often a priority for homeowners with young children and pets. Is the great bathroom debate necessarily a polarized one? Many designers are offering a happy medium, which Thee calls a “wet environment” — a tub within a shower that seems to meet the needs of most home buyers. Jordan loves the “progressive” nature of the shower-tub combination because it meets the needs of older millennials like herself, who enjoy the practicality of a shower but are also starting families. Bathtime is playtime for young kids, says Thee, especially in a space that can contain epic handheld-showerhead water fights. At the same time, these environments are almost always zero-threshold, eliminating the traditional shower curb and accessibility challenges along with it. Trends are known to come in cycles, but American households are heading into new terrain, moving away from the traditional family household structure. Curbed showers don’t meet the needs of a rapidly growing boomer population, and tubs don’t offer the functionality that many Gen Xers and millennials prefer. While a curbless combination is an innovative solution that can meet Team Bathtub and Team Shower halfway, bathroom design must continue to evolve to offer every homeowner, of any age, the type of luxury they’re after. Miller and Walsh think that accessibility and ADA compliance will drive the trends going forward. Thee would love to see a walk-in tub that’s a little more attractive than those on the market today, so that bath-loving boomers don’t have to compromise on style. And several designers are keeping their eyes peeled for bathroom designs that are more health- and eco-conscious, perhaps including an exercise area, aromatherapy, and more resourceful shower fixtures. Home buyers will have to wait and see what comes next. 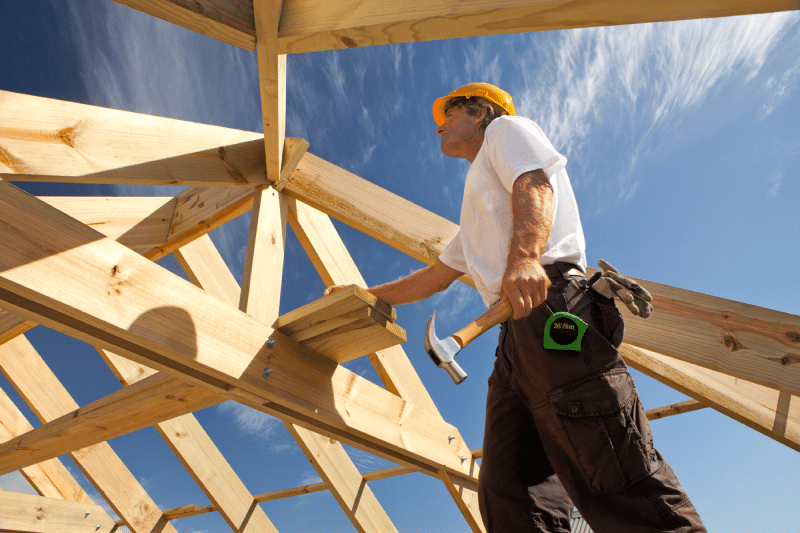 Builder confidence in the market for newly-built single-family homes edged down one point to a level of 70 in March from a downwardly revised February reading on the National Association of Home Builders/Wells Fargo Housing Market Index (HMI) but remains in strong territory. that more builders view conditions as good than poor. The HMI component gauging current sales conditions held steady at 77, the chart measuring sales expectations in the next six months dropped two points to 78, and the index gauging buyer traffic fell three points to 51. Looking at the three-month moving averages for regional HMI scores, the Northeast rose one point to 57, the South decreased one point to 73, the West fell two points to 79, and the Midwest dropped four points to 68. Editor’s Note: The NAHB/Wells Fargo Housing Market Index is strictly the product of NAHB Economics, and is not seen or influenced by any outside party prior to being released to the public. HMI tables can be found at nahb.org/hmi. More information on housing statistics is also available at housingeconomics.com. Outdoor rooms. Demand for outdoor living space has grown by 70% since 2013, according to an AIA study. Environmental management technology and sliding window and door systems have allowed for outdoor spaces that are functional practically year-round across all price points and climates. Multigenerational living. One in five Americans live in multi-gen households, according to a Pew Research Center before, and the demand for ground-floor master suites and universal-design features is rising. Customization. According to author Mike Moore, 53% of home shoppers prefer new homes to resale homes. Today’s buyers want to be more involved in the building process, and to choose design features ahead of time. It’s tricky to forecast what’s on the horizon for home layouts. While trends come and go with the seasons in fashion and other areas of design, a home is more permanent, which means floor plans are a little slower to reflect changes in style and function. Designers and architects must strike a balance between creating versions of tried-and-true plans and pushing the envelope with a design that might not immediately resonate with consumers. Albeit slowly, design tweaks to better meet buyers’ needs do eventually take hold of the plans market. Formal dining rooms have become less popular in new homes over the past decade, while home offices are still sought after as telecommuting continues to flourish (2.9% of the total U.S. workforce work from home at least half of the time, a 115% increase since 2005, according to FlexJobs and Global Workplace Analytics). Sometimes trends emerge in response to economic realities. Land scarcity can make smaller footprints more desirable in many markets, and the changing makeup of families has made flexible layouts more relevant than ever. Plans increasingly are geared toward multigenerational households, offering main-level bedroom suites or in-law units that provide privacy to relatives. The overall movement toward informality and relaxed living reveals itself in the ubiquitous open plan—a longtime trend that doesn’t seem to be waning—but also in exterior home design as well. Ornate styles such as European (a broad category that typically involves a lot of stone arches and stucco) and New American (aka McMansion) have largely fallen out of favor, and rugged-yet-elegant Craftsman designs continue to be top sellers. The streamlined modern farmhouse style is stealing some of the spotlight, however, as it has become the plan du jour. Steve Sagerson’s twenty plus years in the custom home building industry led him to expand his own vision for what true custom building could look like. The result was Legacy Classic Homes. “Legacy Classic Homes’ mission is to turn your vision into reality”.